Counting down the best games Nintendo's young system has to offer. The Nintendo 3DS is three months old (at least in the U.S.), and the new system has a good collection of games across a variety of genres, from pummeling Street Fighters to petting kittens and puppies. Bottom line, there's almost something for everyone. On that note, and if you just (or intend to) purchase Nintendo's glasses free 3D system, here's a list of the top ten games for the handheld. Of course, we may have to revise this article, once Capcom releases Resident Evil: The Mercenaries 3D tomorrow. 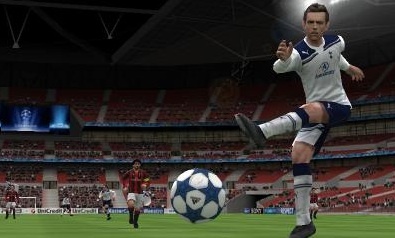 If soccer's your thing, Konami's Pro Evolution Soccer 2011 is quite good, with 3D players and locations, play-by-play commentary and easy to learn controls. We also dig the StreetPass feature that lets us assemble a team and then compete with other gamers' squads. The only downside is the camera, which sits behind the action. Hard to see where all those passes go. Ubisoft stunk up the 3DS launch with a handful of weak efforts. Shadow Wars, however, was a hidden gem that deserves your attention. 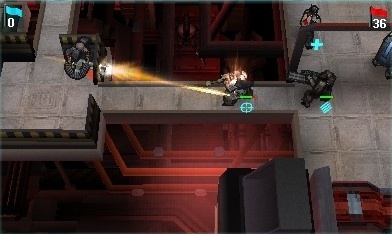 This turn based strategy title sends you into hostile territory across more than 35 missions, where the goal is to gear up and kill the opposition, eventually taking down Russian ultranationalist Yuri Treskayev. 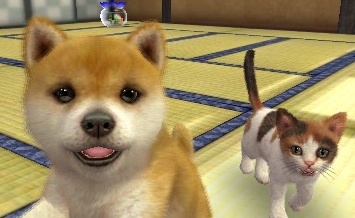 Nintendogs was a huge hit on DS, but it was missing one thing: felines. Nintendo solved this issue with the 3DS launch title, Nintendogs + Cats, which includes over 20 breeds of puppies and kittens to love. Even better, you can share items with others via StreetPass, and bring your pets into the real world (sort of) through the system's augmented reality feature. 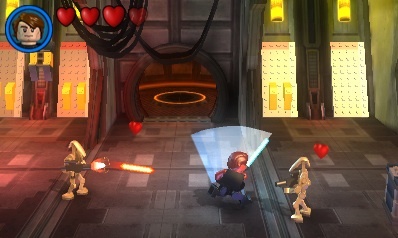 If you crave adventure in a galaxy far, far away, LEGO Star Wars III: The Clone Wars will scratch that itch. Based on the popular TV series, the game comes with new and classic characters, new lightsaber maneuvers, space flight and plenty of mini games, as well as that incredible Star Wars music. 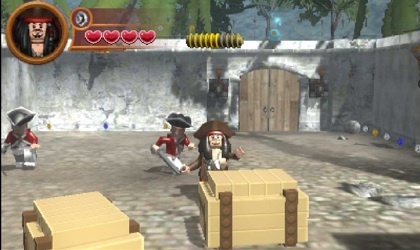 Disney's Pirates of the Caribbean received the LEGO treatment, and this enjoyable game is almost on par with the console titles. You'll play as over 70 characters and explore locations from all four movies while enjoying authentic music, either alone or with a friend through local wireless. 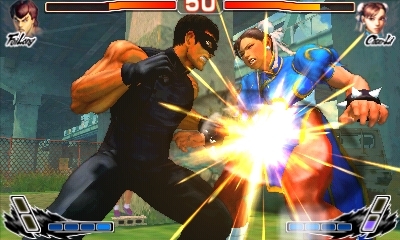 Not to be outdone by Capcom, Team Ninja answered the call with a brutal edition of its Dead or Alive franchise. The 3DS brawler, Dimensions, comes with the biggest roster in series history, a deeply involving Chronicle Mode, Internet/local play and StreetPass battles. What's more, the franchise trademark Danger Zones made a return, giving you the chance to throw enemies through windows and off ledges, where the fighting continues on the ground below. Great stuff. If there's one thing you can count on with a new system launch, it's a new Ridge Racer. 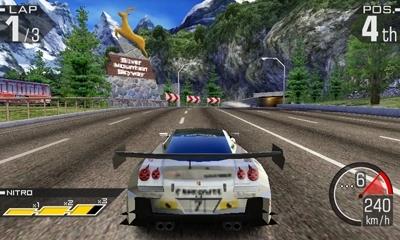 Thankfully, Namco Bandai delivered a beauty in the form of Ridge Racer 3D, a high-octane thrill ride through detailed tracks overflowing with scenery. Switch on the 3D, and water and bits of confetti fly towards the screen. A sweet graphical showpiece for 3DS. Take a relaxing tour of WuHu Island (from Wii Sports Resort) in this charming addition to Nintendo's aerial based series. Soar through the friendly skies in a rocket belt, hang glider and plane while completing challenges, achieving best times and locating hidden items. Capcom managed to shoehorn its impressive Super Street Fighter IV console game onto the 3DS, complete with 35 playable characters, online play, StreetPass support and a cool new over the shoulder perspective that adds a new dimension to the hard-hitting play. Definitely a must buy. 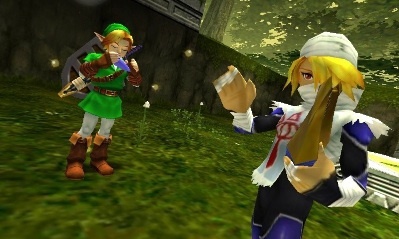 Ocarina of Time 3D is without question the best 3DS game you can buy, and will be throughout the summer and possibly beyond. Nintendo took the beloved Nintendo 64 original and brought it up to date, with improved graphics and audio. 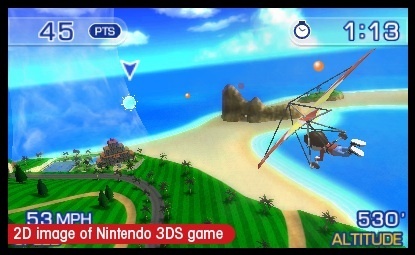 Then the developers made use of different 3DS features, such as the touch screen (map, inventory), gyroscope (tilt to look around and aim Link's slingshot) and the cool 3D effects. If you own a 3DS, you must also own this video game.